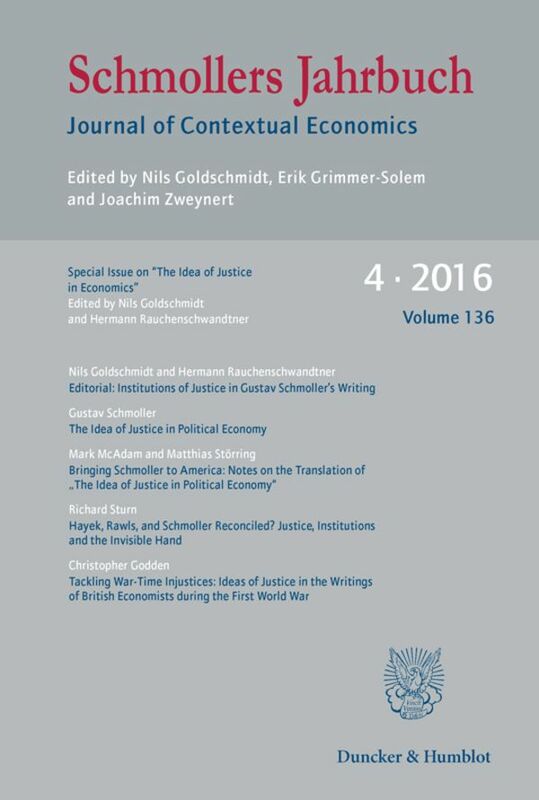 The special issue addresses Schmoller's multi-faceted work »The Idea of Justice in Political Economy« and recent research related to this article. 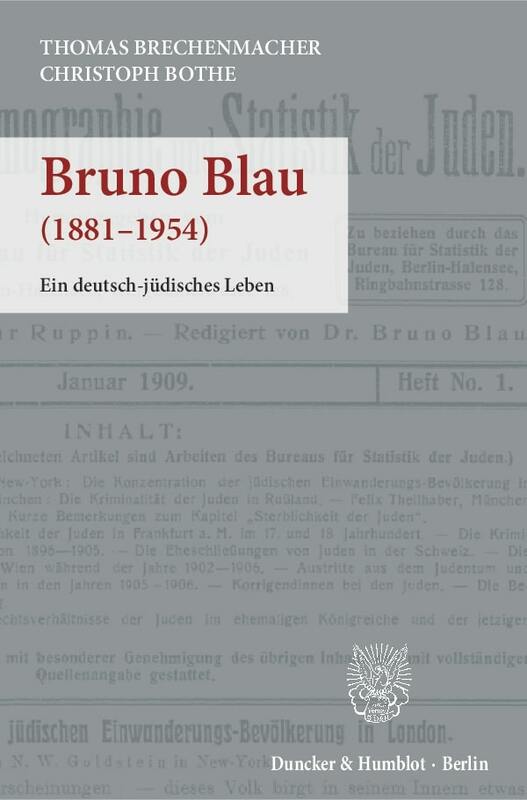 In his work, Schmoller historicizes and puts into context the concept of justice. The contexts employed by Schmoller in his article point to a blind spot, something even modern conceptions of morality are prone to ignore: namely, that morality is that construct comprising both the good life of individuals and the social virtue of justice. 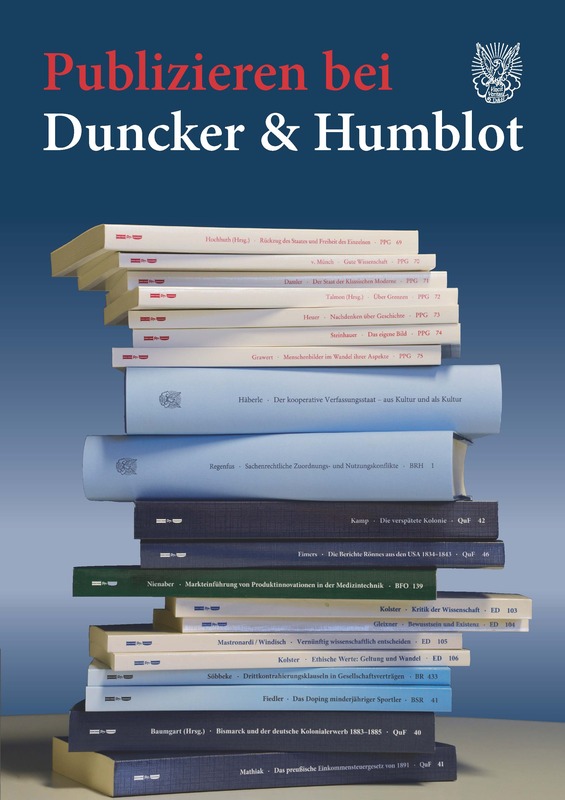 That the considerations by Schmoller are more than mere epistemological mind games from an era prior to modern economics is evident when one considers the unresolved relationship between mental models and formal and informal institutions. 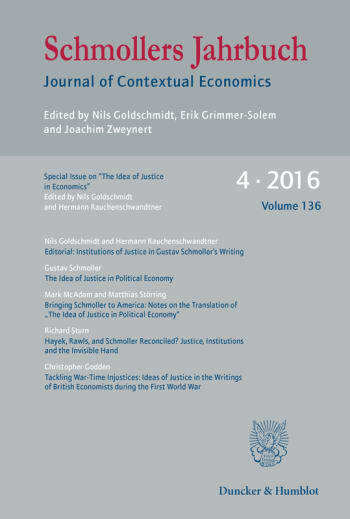 A dynamic interpretation of institutional change on a psychological basis is what fascinates readers of Schmoller's »The Idea of Justice in Political Economy« today, much like it did in the late 19th century.